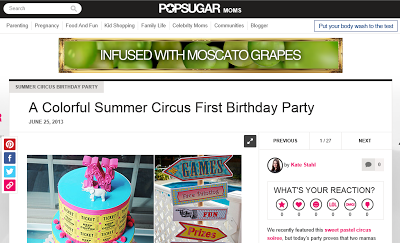 Nadia's Circus Birthday Party Featured on PopSugar Moms! 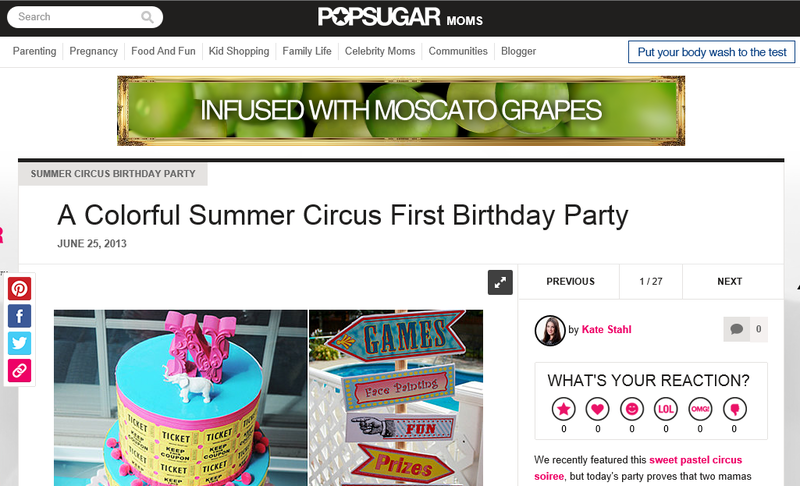 I was beyond thrilled to get an email from a PopSugar Contributing Editor asking to feature Nadia's Circus Party. 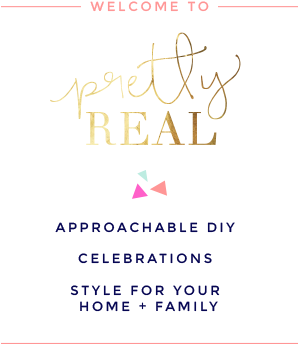 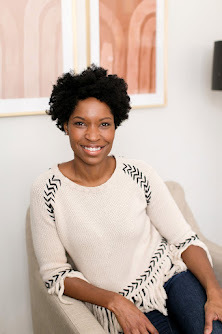 Just like HWTM was the first party planning blog I followed, the PopSugar blogs were the first blogs I frequented at all. 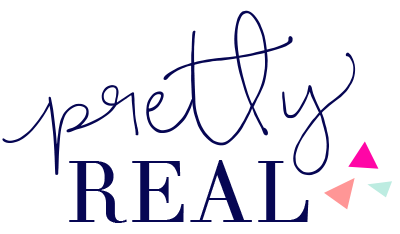 This is what Oprah calls a full circle moment people. 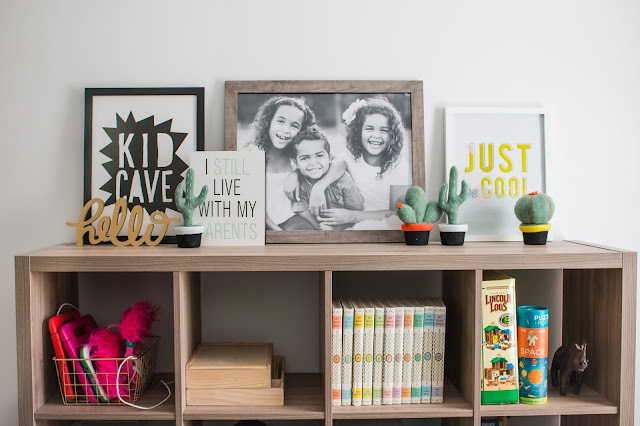 ;) Check out the full feature here and special thanks to Jordan of Captured nh for her amazing photography and to Kate Stahl of POPSUGAR Moms for choosing Nadia's party!